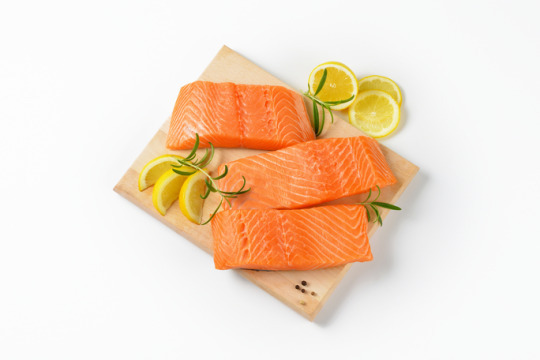 Flaky and delicate, salmon is the healthy, versatile protein that comes with a posh reputation. This recipe uses rosemary and lemon to cut through the fishy flavor and deliver warm and citrusy notes to your meal. At dinner parties and school nights alike, it’ll pair delightfully with a bed of spinach and pine nuts, and a side of fingerling potatoes. 2. Put salmon fillet on baking sheet, then place 2 sprigs of rosemary on each fillet. Top evenly with lemon slices. Drizzle on olive oil, and season with salt and pepper. 3. Bake for 15-20 minutes, depending on fillet size. December 05, 2017 by Corinne L.